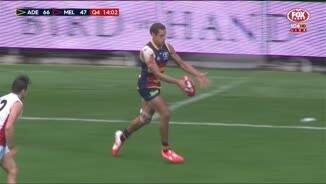 Ellis-Yolmen was let go from Adelaide’s senior list at the end of the 2017 season after rupturing his ACL in the JLT Community Series, but has been redrafted as a rookie. 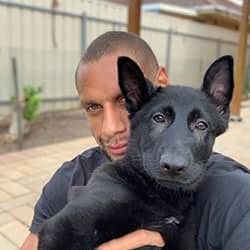 The big-bodied clearance winner worked diligently in his rehabilitation and returned to pre-season training with his 1-4 year teammates – a fortnight earlier than required. Will be out to prove himself again and add to his 14 AFL games. Unable to show his wares at AFL level despite dominating in the SANFL. Ellis-Yolmen played two senior games for the year, with opportunities scarce due to the Club’s low injury count. He performed well when given the opportunity however, winning 31 possessions and kicking four goals across his two senior games late in the season. Prolific at SANFL level where he averaged 27 disposals across 18 matches. The big-bodied onballer averaged 14 contested possessions and seven clearances a game and also kicked 10 goals. Had his season cut short by a hamstring injury sustained during the Club’s SANFL Semi-Final win over South Adelaide. Was the Crows’ top Magarey Medal vote-getter and finished fifth in the State League Club Champion award after leading for much of the count. Eager to seize more opportunities in the senior side next season. Made big strides after receiving a taste of senior football in 2014. 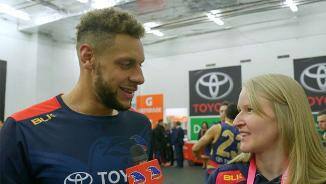 The big-bodied midfielder was selected for Adelaide's season-opener versus North Melbourne and showed strong form early in the year, averaging 20 disposals across the first five rounds. Ellis-Yolmen played 11 games to Round 15 but was then squeezed out of the senior side and was overlooked during Adelaide's finals campaign. Signed a contract extension in October which will keep him at West Lakes until at least the end of 2017. Made his AFL debut as the substitute for Adelaide’s Round 12 clash with Fremantle after a string of consistent SANFL performances. Ellis-Yolmen played predominantly as a big-bodied midfielder in Adelaide’s State League team and finished fourth in the side’s best and fairest count. He also showed his versatility with several impressive shut-down roles. Polled his first Magarey Medal votes this year and led the SANFL Crows for disposals, clearances and tackles. Knocking on the door for more opportunities at AFL level next year. 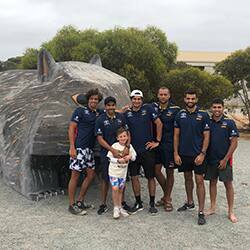 The promising Crow established himself as a capable running defender at SANFL level in 2013, playing 14 senior games, including two finals, for Woodville-West Torrens. 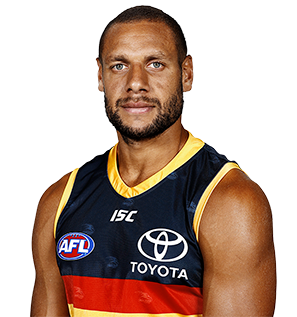 Ellis-Yolmen showed enough to earn a two-year contract extension, and was selected in the Australian Indigenous team to play Ireland in the International Rules series. Impressed in two NAB Cup games last pre-season and will be looking to become a consistent contributor in 2014. An exciting but raw talent, Ellis-Yolmen picked up 21 possessions and a goal in his league debut for Woodville-West Torrens in April. The young Crow spent the latter part of the season in the Eagles reserves, but at 188cm and 88kg Ellis-Yolmen looms as a handy future midfield prospect. After sitting out all of 2010 because of a knee injury, Ellis-Yolmen came into draft calculations late last year after a strong finish to the season with the Woodville-West Torrens reserves. The 188cm, 88kg, utility played as a key-position forward/defender and even in the ruck in his junior career, but impressed recruiters with his athleticism, ball-reading ability and clean hands around the packs when he was shifted into the midfield last season. He was selected with Adelaide’s last pick (No.64 overall) in the 2011 AFL Draft.